A great way to start your day! Want a wonderful way to start your day? 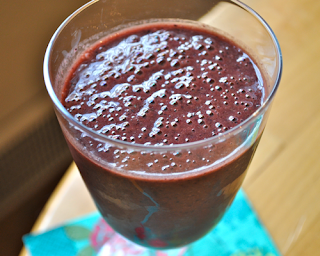 This smoothie is your answer. 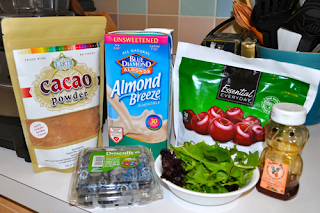 It's loaded with powerful antioxidants within the blueberries, cacao, cherries, honey and greens. It is both filling and tastes wonderful. I love this smoothie! You'll feel great, and your body will love it too! Place in blender and puree. Now is the perfect time to stock up on all the fresh berries being locally harvested. They are cheap and are at peak ripeness, which means they taste amazing right now. 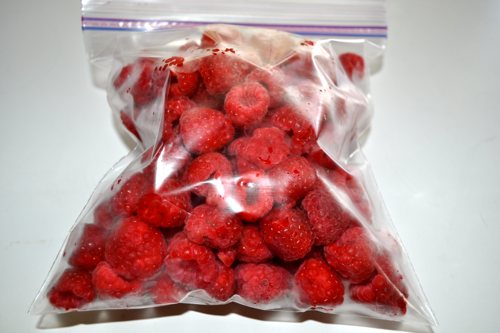 In order to savor their fruitiness all year long it is important to freeze them now. There are only a few simple steps to follow, and it will allow you to have great tasting berry treats all year long. 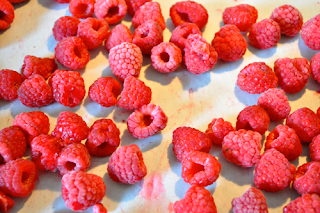 You can substitute frozen berries in any recipe that calls for fresh. 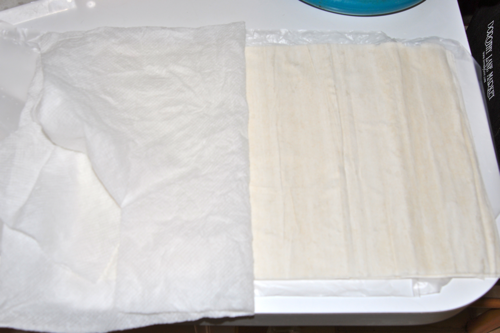 Line a sheet tray with parchment paper. This makes clean up a breeze and will prevent sticking. Make a single layer of berries on the tray. Place in freezer until completely frozen. Place in a freezer bag. Label and date. Enjoy! Freezing can be done with blackberries, blueberries, raspberries, strawberries and even cherries. If using cherries, make sure to pit them first. These frozen berries can be used in cobblers, pies, smoothies, sauces, sorbets, ice cream, sherbet and much more. So take advantage of berry season, and enjoy them for months to come. Main dish salads are one of my favorite dinners. They take little to no time to prepare and offer a plethora of combinations. These are great for spring and summer nights. 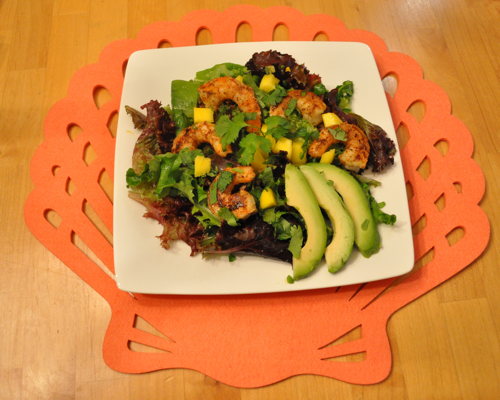 I love this particular salad because it reminds me of being in the keys or Caribbean on vacation. When I was younger, I often got to the chance to travel to the islands. There is nothing like the smell of salty ocean air and being surrounded by the palm trees. The island life is so laid back and relaxed. This dish takes me back to that gorgeous island and can bring you there too. 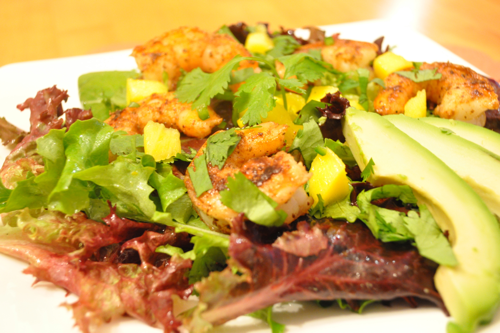 The fresh shrimp, jalapeño, cilantro, and mango give this dish a Caribbean flare. If you want a complete Caribbean meal you could serve this salad with a rum punch and coconut ice cream for dessert. 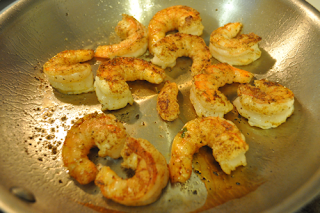 If you do not have shrimp on hand, you could easily substitute it for fish or scallops. Take a mini vacation tonight and create this beautiful dish. 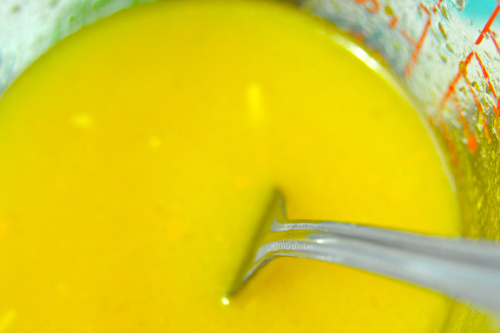 Combine mango Vinegar, honey, rice wine vinegar and mix. Slowly add in oils and whisk vigorously until emulsified. Season with salt and pepper to taste. Set aside. 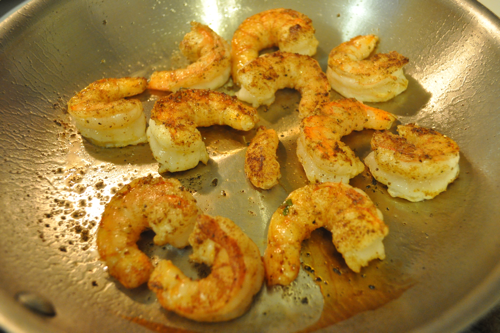 Meanwhile, coat shrimp with old bay seasoning on both sides. Heat a pan with 2-3 Tablespoons oil until smoking. Add shrimp one at a time. Let sit 2-3 minutes on each side or until pink and opaque all the way through. This time will change depending on the size of the shrimp. Once finished, set aside. Toss lettuce with enough dressing to coat. 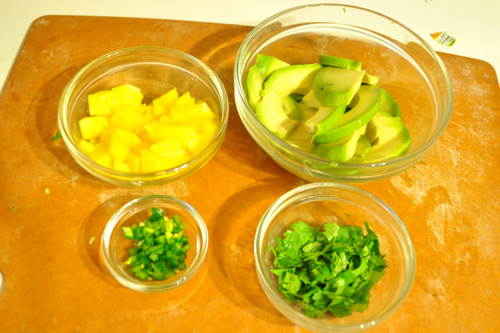 Garnish salad with jalapeño, mango, avocado, cilantro and shrimp. Enjoy this delightful salad on a warm summer night. Tip- Shrimp is sold by the count. The could indicates the size of the shrimp. The higher the number the smaller the shrimp. If there are 10/12 count. That means there is 10/12 in a pound. These shrimp would be very large and take a little longer to cook. 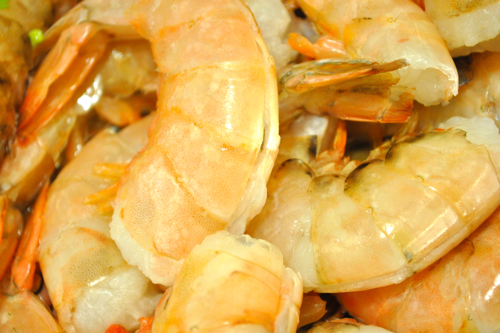 This may also be labeled as U10, which means there is under 10 shrimp per pound. The count is a true indicator of the size. Small, medium and large can be changed based the store. The count is much more reliable. For a consistent size, check the count on the bag. Napoleons are a classic french pastry. 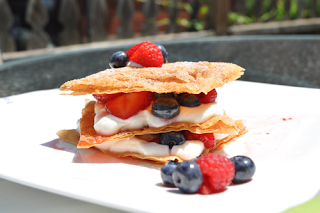 Traditionally, they are made with puff pastry, pastry cream and vanilla glaze. It has three layers of puff pastry and two layers of pastry cream. It's light and airy and definitely delicious. Once you have one, it will change the world as you know it. It's crunchy, sweet, rich and flavorful. There is nothing finer than a Napoleon. It is hard to stop eating this delightful sweet! Now, there is endless variations on this timeless dessert. This particular modification has lemony and airy filling, as well as, wonderfully delicious berries that are perfect for the season. 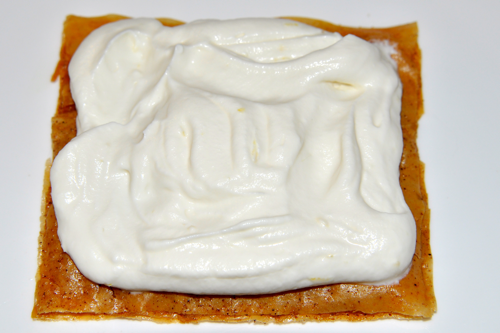 The filling is a greek yogurt and marscapone with a hint of lemon atop of cinnamon sugar phyllo squares. It is bright and colorful and the components can be made ahead and then assembled for company. 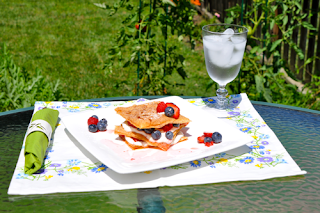 Enjoy this wonderfully summer dessert with friends and family. Let one roll of phyllo dough thaw out a room temperature. Once thawed, unroll and place a damp paper towel over to keep the phyllo from drying out. 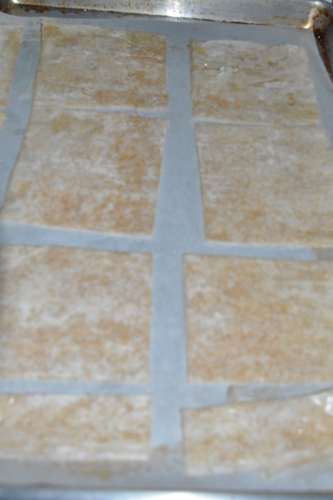 On a parchment lined counter, place 1 sheet of phyllo dough. Brush with enough butter to coat. Sprinkle with cinnamon sugar to coat. Repeat with 3 more layers of phyllo dough. Cut into 4x4 inch squares. Bake at 350F for 10 minutes. Repeat with remaining roll of phyllo dough. Once the squares are done, make the filling. In a mixer, combine marscarpone, greek yogurt, lemon zest and juice, powdered sugar. In a separate bowl, whip cream slightly, then add 1 teaspoon vanilla and 2 tablespoons sugar. Continue whipping until stiff peaks are formed. Fold in 1/3 of the mixture into the marscarpone mixture. Slowly fold in the other 2/3 of the mixture. 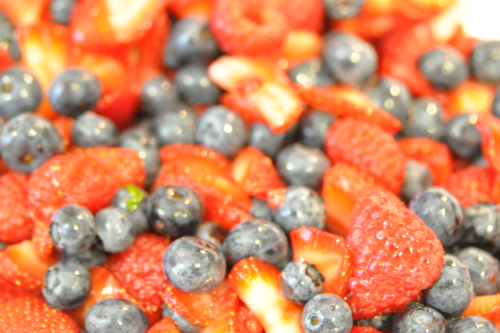 To make fruit mixture, combine all fruit with sugar and 1/2 teaspoon vanilla. Let it sit and macerate for at least 10 minutes. To assemble, fill a pastry bag with filling. Place a dot of the filling in the middle of the plate. Place a square of phyllo dough on top. Top with enough filling to cover. Then add a scoop of fruit. Repeat once more. Finish with a layer of phyllo dough. 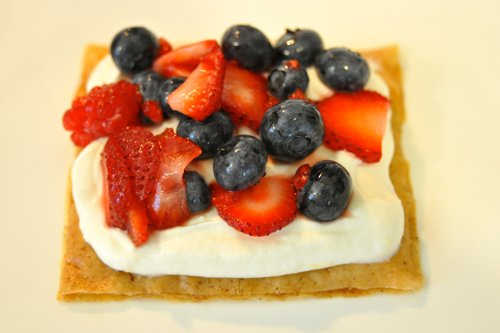 Then top with berries, powdered sugar and whipped cream for garnish, if desired. 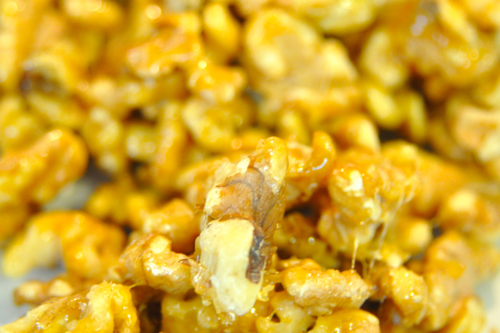 Enjoy this light and crispy treat! 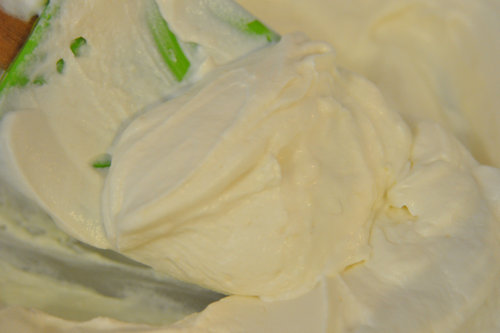 Tip- Whipping cream, to achieve a fluffier whipped cream. Refrigerate your bowl, whip attachment as well as your cream. This will allow more air to incorporate in the cream and keep it stable longer. If you want to flavor it. Add the liquor or extract after you have increased the volume by 1/3 or 1/2. Then slowly add in sugar and other flavoring ingredients. When I'm entertaining, I like to have a cocktail that is a showstopper. Sangria fits the bill perfectly, plus it's simple to make, and looks amazing in a glass or pitcher. This is one of my favorite drinks because fruit is a main ingredient. The fruit shines through the wine and is wonderfully colorful. 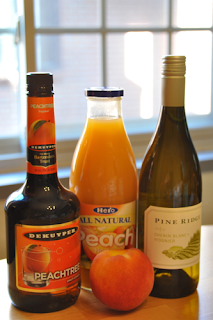 Sangria can easily be changed to fit any occasion, and can be made any time of year. For fall, make an apple sangria. At christmas, make a cranberry sangria. 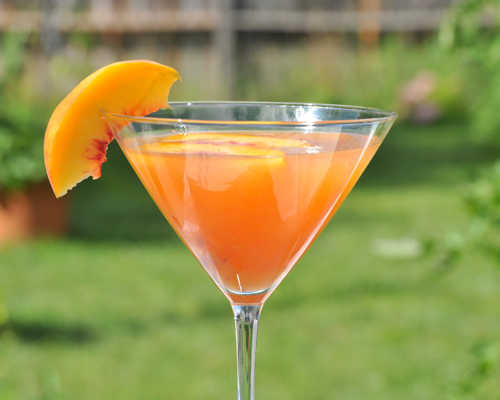 Don't be afraid to play around with different combinations of wine, fruit, and liquors. The only limit is your imagination. So have fun with it and invite some friends to try out your experiments! Combine all ingredients and refrigerate over night. Garnish with fresh mint or lemon balm. 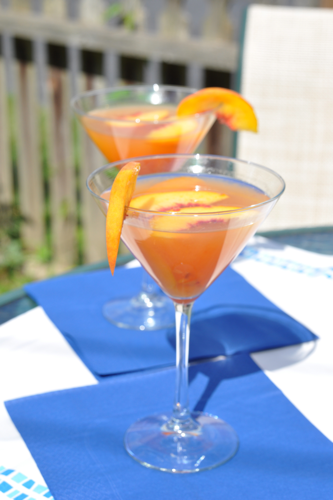 Tip- Sangria flavors, can be made with any combination of wine, fruit and liquors. Here are a few ideas you might want to try! A colorful sweet beet salad! Beets are not very popular in the United States. I never used to like them growing up, until I had them at a friends house from their garden. It was so sweet, almost like candy. Now I love them! They are a super healthy food and have such gorgeous color. They have a very earthy flavor and can be tricky to prepare for the home cook. In culinary school, beets were a must learn. We cooked them in multiple classes and used them in a variety of dishes. 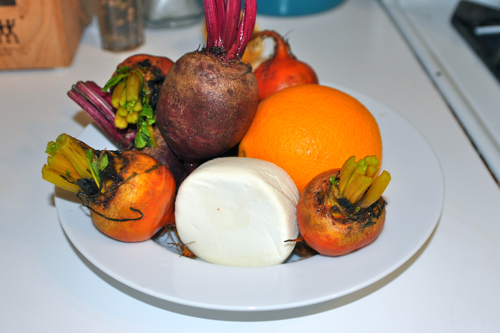 I really learned to appreciate the beet and how delicious they truly can be. If you are not a fan, I encourage you to give them another try. 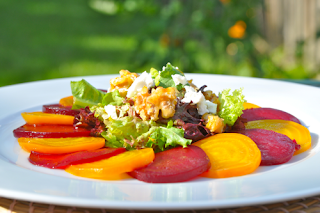 If you already appreciate beets, this salad is for you! 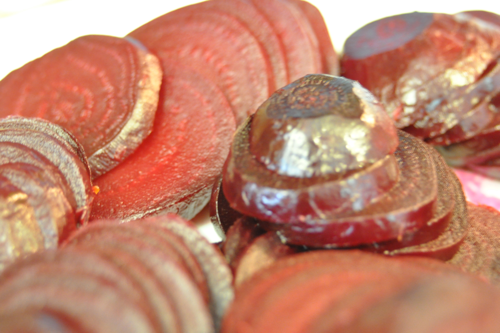 To roast beets, clean and trim. Drizzle with a little bit of olive oil or canola oil. Wrap in aluminium foil. Place in a 400 degree oven for 1 hour or until easily pierced with a knife. Let cool. Peel and slice beets. Make sure to keep the red beets separate from the golden beets, because the color will bleed and ruin the presentation. Combine orange juice, zest, vinegar, shallot, mustard. Slowly drizzle in both oils and whisk until emulsified. Set aside. Drizzle each beet with enough dressing to coat. In another bowl, drizzle the lettuce with dressing to coat. 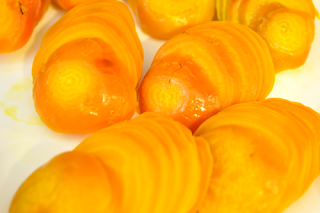 Alternate the red and golden beets around the plate. In the middle, place the dressed spring mix and top with walnuts and goat cheese. Enjoy. Feel free to present this salad however you want. Use your creativity and let your culinary free spirit out. There is endless options for plating this salad. Tip- Beets are a super food. It is low in calories and high in vitamins, minerals and antioxidants. It is high in potassium and magnesium, which plays in a huge role in the function of the heart and an important role in muscle function. Lastly, it provides a large amount of vitamin C, which is an antioxidant that can help prevent free radicals from forming in the body. Another benefit of this vitamin is that removes plaque from arteries. This allows for the lowering of blood pressure. These are just a couple benefits of eating beets. So try to incorporate them more in your diet. They do wonders for the body and are full of many vitamins and minerals! Remember, the more colorful a fruit or vegetable is the better it is for you!